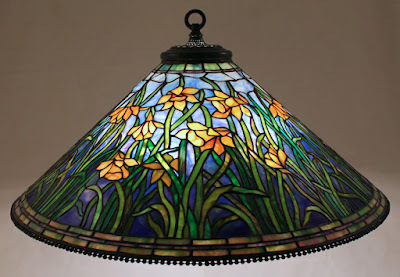 Large floral shades represent the finest stained glass shade designs created by Tiffany Studios. With their expanded surface area, the flowers on these shades definitely have room to grow! The 28″ Daffodil pattern has the natural look of a garden in springtime. The willowy stems hold the distinctive flower heads aloft while the slender leaves sway in a gentle breeze. The overall feel of the shade is bright and cheerful. 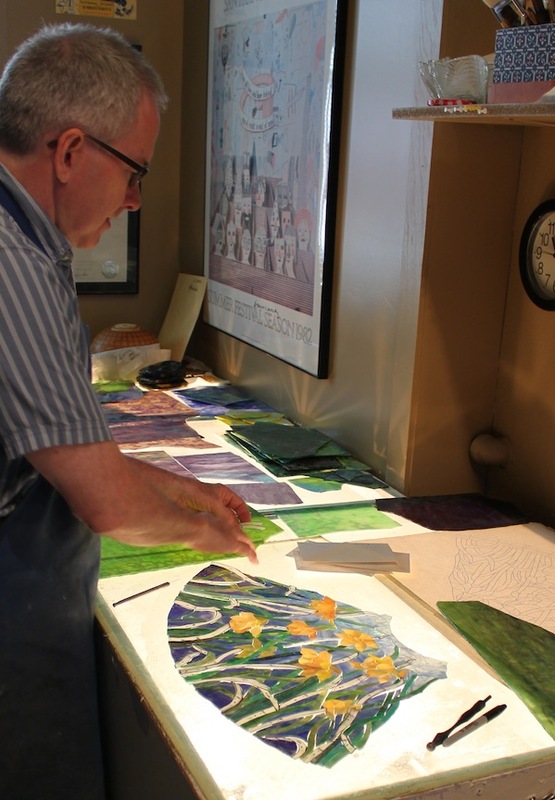 The background glass is a blended mix of blues, greens, and purples which start light and airy towards the top of the shade and intensify on the lower half. Over ten different greens were called into service to create the leaves and stems, and the yellow flowers are a lively mix of ring mottled, streaky, and textured glasses. 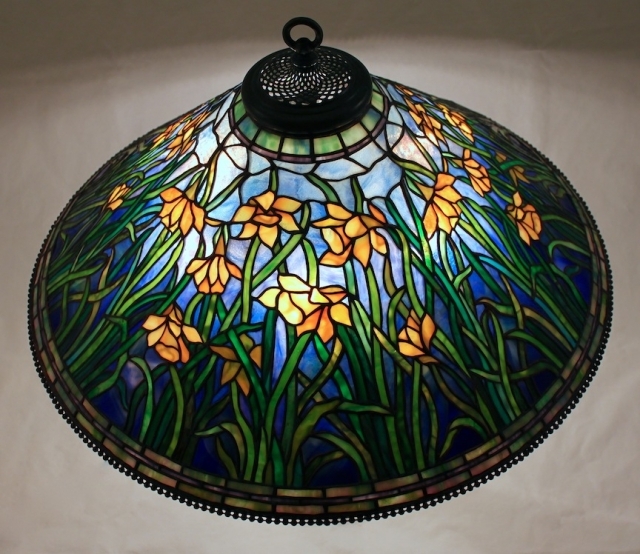 Commissioned as an anniversary gift by a client in Vermont, this 28″ Daffodil is now installed as a chandelier fixture in their home.